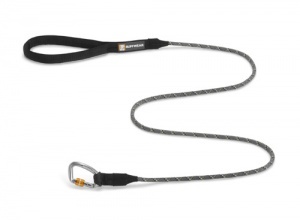 Combining safety with comfort, the 5ft Knot-a-Lead and shorter 2.5ft Knot-a-Long Lead by Ruffwear are super reliable dog leads with secure carabiner lead clip with a security latch so your dog's lead won't accidentally come off. 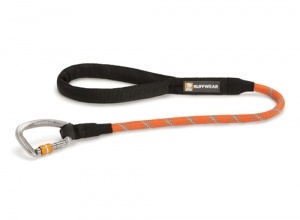 The lead itself is made from strong, supple kernmantle climbing rope. 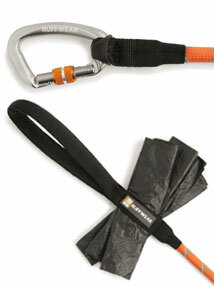 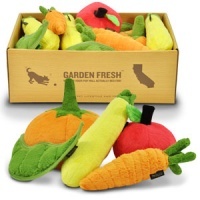 The tubular webbing handle is comfortable and easy to hold. 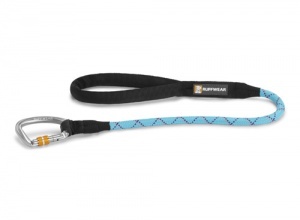 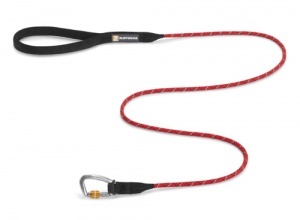 The rope lead is integrated with reflective trim for low light conditions. 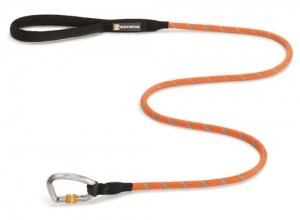 Equipment can fail and accidents can happen. 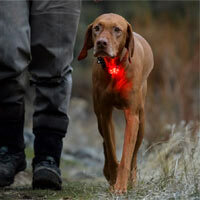 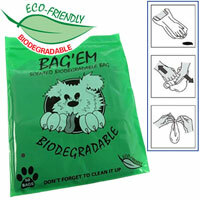 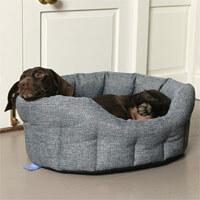 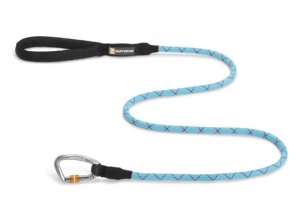 That's not a risk we are willing to take with our pets, which is why we were thrilled with the design of this lead. 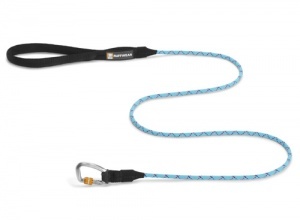 The trigger hook you get on a standard dog lead has been replaced with an incredibly strong and secure carabiner attachment point to fasten the lead to your dog's collar or harness. 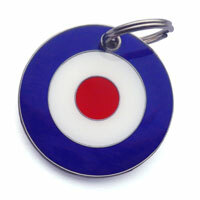 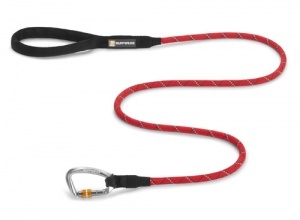 The carabiner has a spring clip for quick and easy fastening and it also features a screw gate to 'lock' it shut. 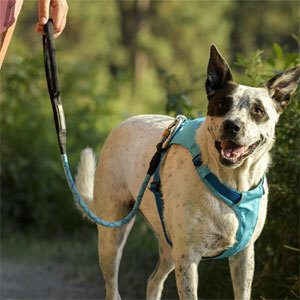 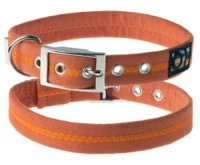 It won't come undone, no matter what adventures your dog goes on. 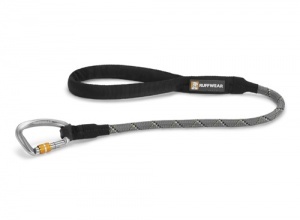 The tubular handle is strong and a pleasure to hold so even if your dog pulls and tugs there will be no rope burn or discomfort for you. 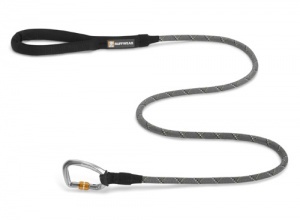 Finally, there is an innovative and incredibly handy accessories loop below the lead handle which is useful for carrying those important extras such as poop bags, a safety light or any other small clip-on items. 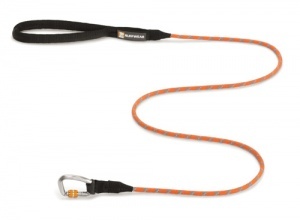 Choose from the 5 foot Knot-a-Lead or the shorter 2.5 foot Knot-a-Long Lead. 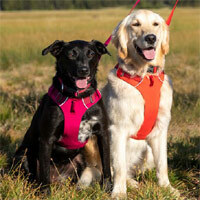 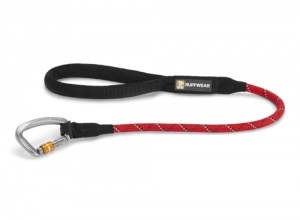 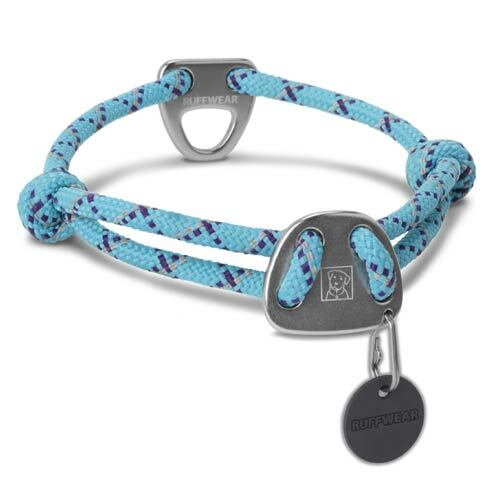 Ruffwear also make the innovative Knot-a-Collar, made out of the same climbing rope, if you would like the set.